SCOTT® Dispenser Napkins from Kimberly-Clark offer quality, value, size and fold choice for restaurants, cafeterias, schools and other high traffic facilities. 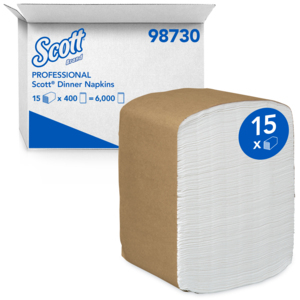 Our SCOTT® Full Fold Dispenser Napkins are 1-ply, white dinner napkins. Our SCOTT® Low Fold Dispenser Napkins are 1-ply, white snack-sized napkins that are ideal for lunch rooms and coffee shops. 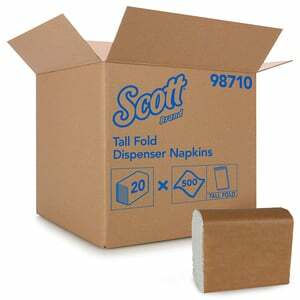 Our SCOTT® Mini Fold Dispenser Napkins are 1-ply, white dinner napkins. Our SCOTT® Tall Fold Dispenser Napkins are 1-ply, white snack-sized napkins that are ideal for lunch rooms and coffee shops.